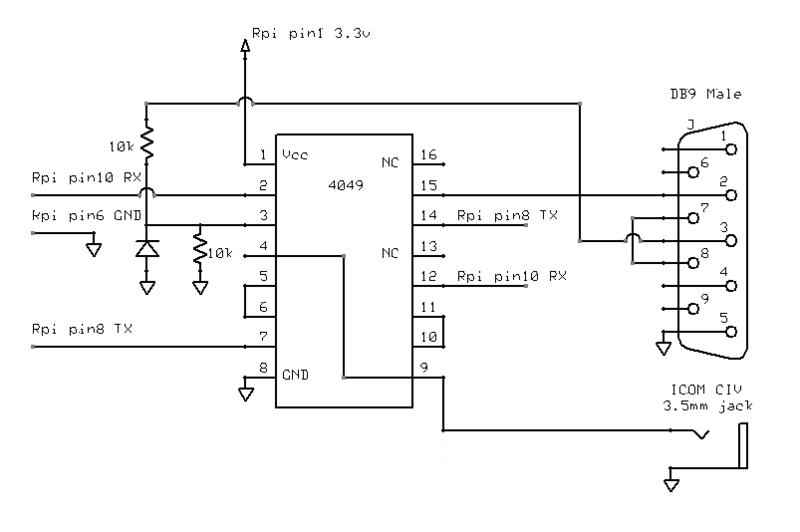 Ham Radio ICOM CI-V / RS232 To TTL Level Converter | The Wonderful World of Microcontroller! The Experiment: ICOM CI-V / Yaesu Kenwood K3 KX3 RS232 To TTL Level Converter. Build a simple ICOM CI-V / RS232 to TTL level converter around a 7404 hex inverter IC for the Arduino / ATtiny . 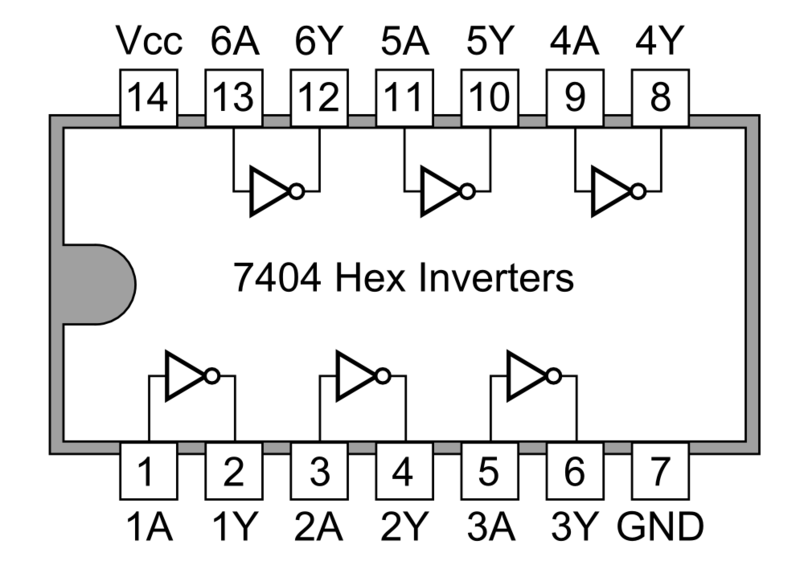 The 7404 hex inverter is a convenient way to replaces the RX / TX transistors to invert the serial signal. 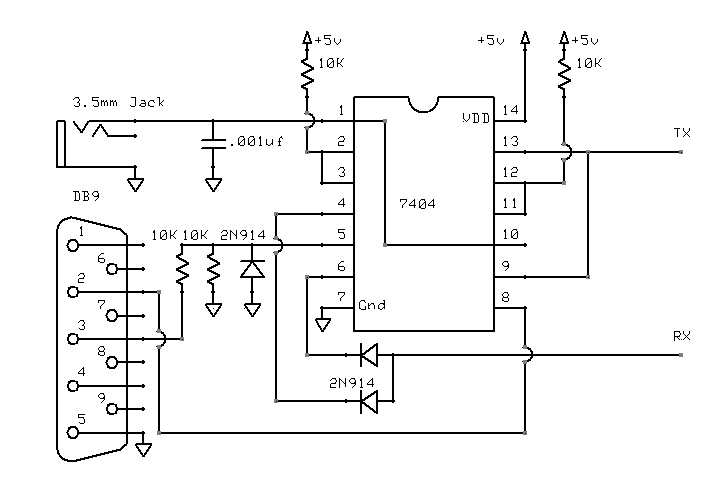 The challenge, well the challenge has already been taken By My Weblog and By VE1ZAC they have all ready built a RS232 to TTL level converter around a 7404, 7405 hex inverter IC. 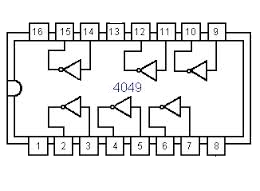 The schematic below utilizes one 7404 to converter both ICOM CI-V and RS232 to TTL levels for the Arduino / ATtiny. The 4049 ICOM CI-V / Yaesu Kenwood K3 KX3 RS232 To TTL Level Converter was specifically designed for the Ham Radio Raspberry Pi Internet Remote Base experiment. The circuit was tested on the ICOM CI-V to Yaesu BCD band decoder prototype board. The circuit was tested on the Ham Radio Raspberry Pi Internet Remote Base experiment. DO NOT: wire in both level converter to the Raspberry Pi at the same time, use either the RS232 or ICOM CIV. WARNING: When connecting external circuitry to the raspi GPIO pins, please be reminded that the Raspberry Pi only support 3.3V signal level. So in the best interest of your raspi keep this in mind!